In a newly released video from the Taliban’s media wing, the jihadist group advertises the existence of the Omar ibn Khattab training camp somewhere in the northern Kunduz Province. 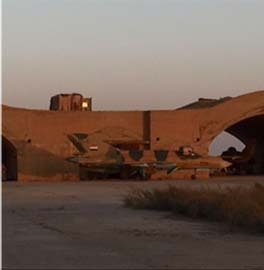 It is unclear when the footage was taken, but the camp appears to have been operational for quite some time as footage from different seasons is shown throughout the video. 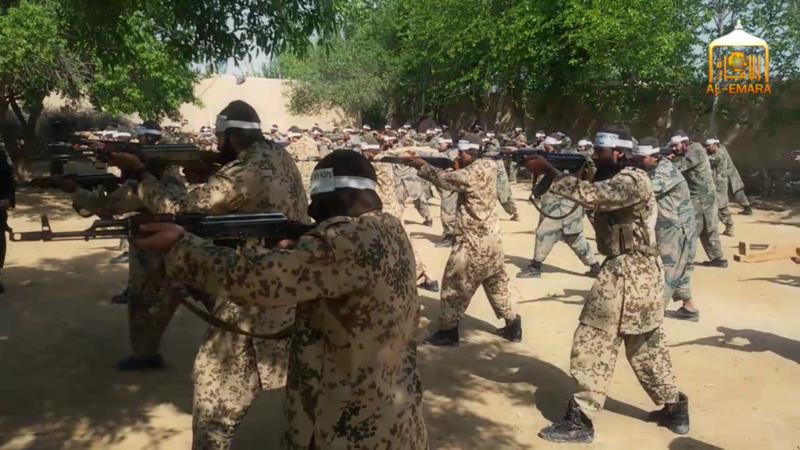 After giving a eulogy to Mullah Akhtar Mansour, the last emir who was killed in a US drone strike in Baluchistan, Pakistan last May, the Taliban shows dozens of fighters and new recruits training in a large compound in Kunduz. The fighters are shown undergoing physical training, as well as instruction with both real and fake weapons. Additionally, the recruits are shown practicing live fire drills with Kalashnikov rifles, rocket propelled grenades, grenade launchers, and various other weapons. At the end of the video, Mullah Abdul Salam, the Taliban’s shadow governor for Kunduz, swears allegiance to new Taliban emir Mullah Haibatullah Akhundzada. Afghan intelligence claimed it killed Salam in October, but Salam quickly quelled the rumors. The jihadists at the Omar ibn Khattab are then shown openly marching and parading with captured Afghan National Army vehicles through the streets of a town within Kunduz and the surrounding countryside. 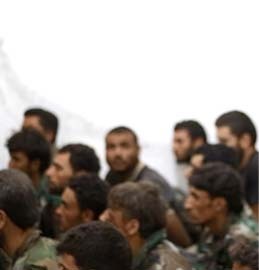 The camp is named after Omar ibn Khattab, the second Muslim caliph who was a companion to the Prophet Muhammad. Under Umar’s rule in the seventh century, the caliphate took control of Persia and large areas of the Byzantine Empire. The Afghan government has claimed it cleared Kunduz of a Taliban presence after the group overran the provincial capital of Kunduz City and several other districts. 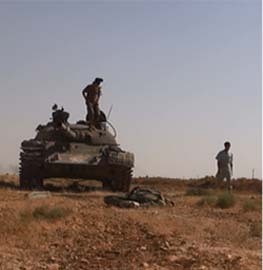 However, the Taliban has remained in the province and continues to run at least one camp there. 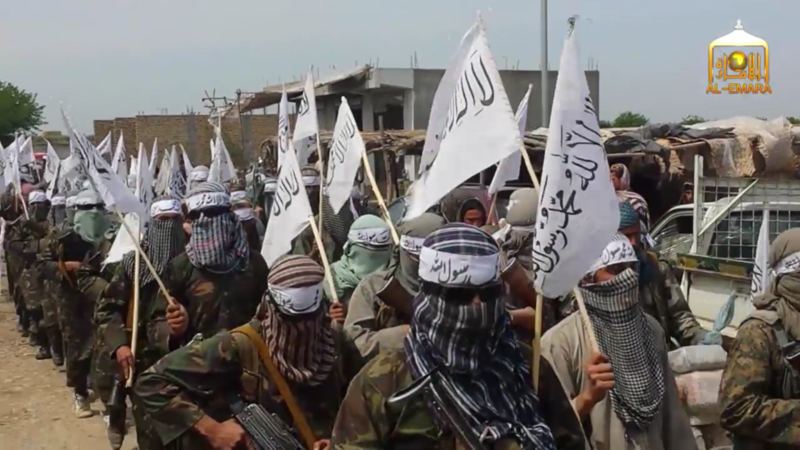 The Taliban has publicized several training camps in Afghanistan in recent years. 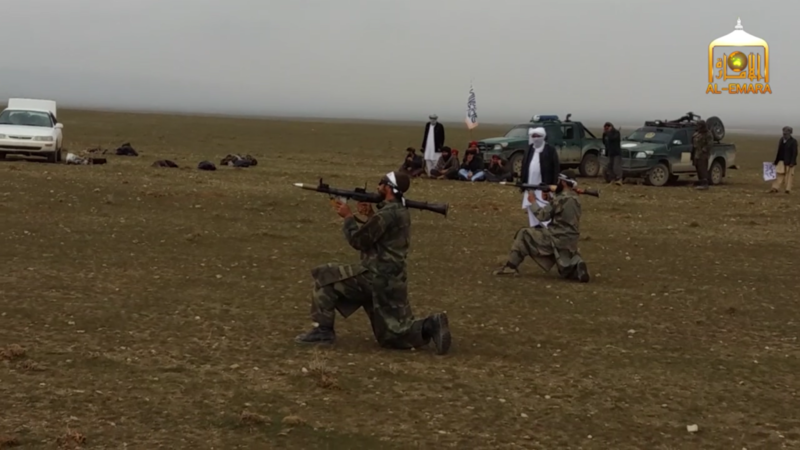 In December 2014, the Taliban showcased a training camp in the Jawzjan district of Faryab Province. 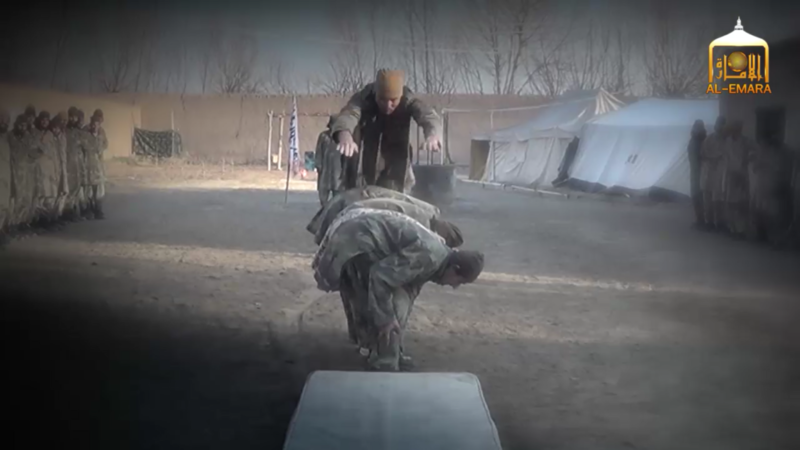 In January 2015, it highlighted a training camp in Kunar. Last June, the jihadist group advertised a “special forces” training camp somewhere in Afghanistan. Two months later, a training camp in the Zurmat district of Paktia Province was touted online. 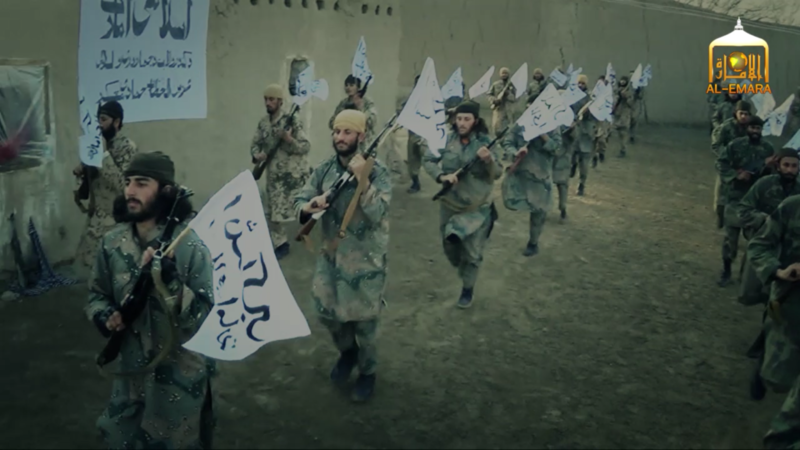 Last September, the Haqqani Network, a powerful subgroup of the Taliban, released a video from its Salahadin Ayyubi camp someplace in eastern Afghanistan. 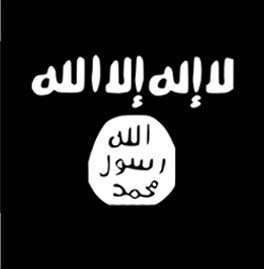 Other jihadist groups also operate camps inside Afghanistan. 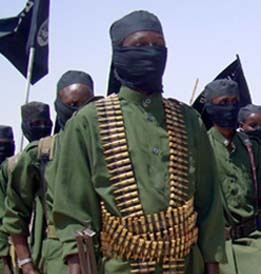 For instance, the US government stated in 2014 that Harakat-ul-Mujahideen, a Pakistani jihadist group that is closely allied with al Qaeda, “operates terrorist training camps in eastern Afghanistan.” The Turkistan Islamic Party, a Uighur jihadist group within al Qaeda’s international network, showcased a training camp reportedly in Afghanistan last year. 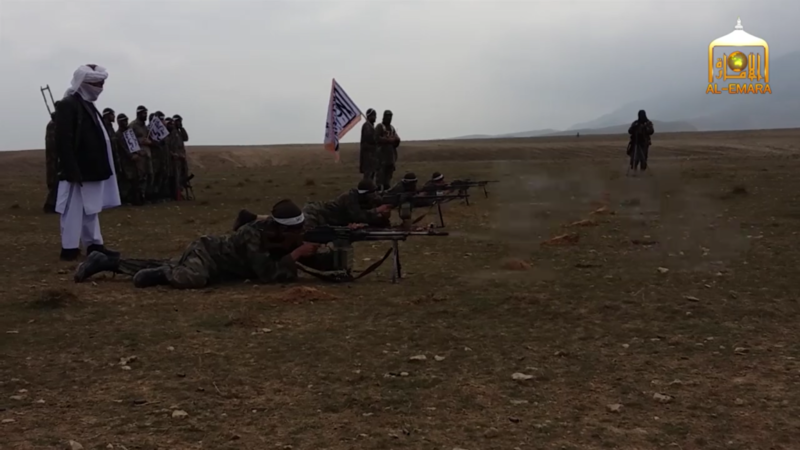 The Imam Bukhari Jamaat, an Uzbek jihadist group that operates in both Syria and Afghanistan, also publicized a training camp in Afghanistan last year. Another Uzbek jihadist group, the Islamic Jihad Union, has also done the same. I never thought these idiots would be so successful in the north. It doesn’t make sense. The villagers in Kunduz were mostly Northern Alliance (with a few pockets of Pashtuns who of course supported the Taliban). But they took over Kunduz City and control districts in the area meaning they have freedom of movement. The locals know the Taliban is there and don’t care. And how is the Taliban in a place like Faryab? Isn’t that Dostum’s stronghold? Aren’t the Uzbeks supposed to be anti-Taliban? Dostums’s recently been rumbling about the government. I wouldn’t be surprised if he’s giving the Taliban freedom of movement in his territory. Sounds like something he’d do. This place should be easy to find from the geospatial features in these pics. …., and this could be filmed anywhere in Asia. What proof is there it is within Kunduz province? What a tempting target for an aerial attack! Has the DoD found a way to blame this on Pakistan yet? I’m sure there is a way that the ISI can be blamed for this if they try hard enough. crocodile tears, clearly he was sold out by his own command. 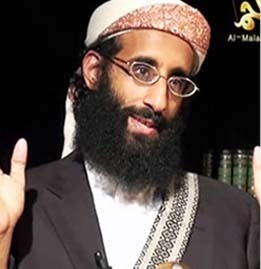 you just don’t get to drop bombs on the leader of the Taliban unless the the Taliban wants them dead.